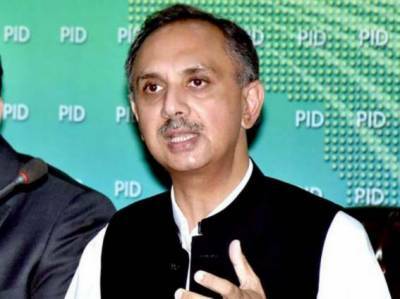 ISLAMABAD: Minister for Power Division Omar Ayub Khan said the government was focusing on local resources to enhance cheap power production to meet the energy growing demands. Priority would be given to renewable energy including hydro, coal and other resources to generate cheap electricity , he said talking to PTV programme. The minister said the incumbent government had paid attention to launch many power projects in future, adding the uninterrupted energy was being providing to consumers in winter season. He said,”We have set a target to generate 55, 000 megawatt till 2030," adding that around 20 percent energy would be added in national grid till 2025 to meet the power shortage. He said the previous governments had not paid attentions toward overcoming power load shedding and they had not initiated any project. The last Pakistan Muslim League-Nawaz government had only relied on Liquefied Natural Gas (LNG) , he added. Omar Ayub Khan said the previous governments had taken loans to run this sector. He said private sector organizations should also contribute their services to increase power generation. No power price had been increased on those consumers who are using less than 300 units, he added. To a query, he said 16,000 cases had already been registered against power pilferage across the country. People should cooperate with our teams to wipe out power pilferage from the country, he urged. He said zero tolerance policy had adopted against electricity theft.